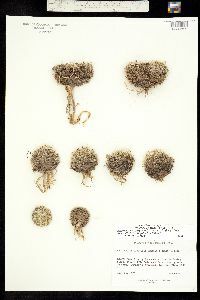 Plants only occasionally branched. 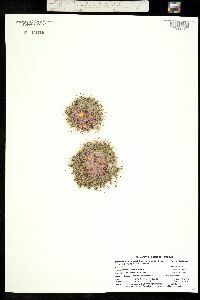 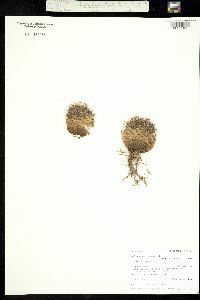 Stems depressed-ovoid to ovoid or globose, 2.5-15(-25) × 2.5-15 cm; areoles circular to oval, villous. 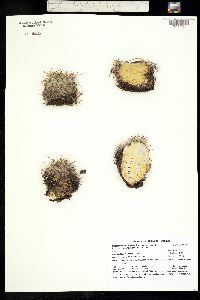 Spines smooth, relatively hard, distinguishable as radial and central; radial spines 15-35 per areole, widely spreading, white, slender, 3-13 mm; central spines 4-11 per areole, reddish brown (rarely black) with basal 1/2 cream or yellow, rigid, straight or slightly curved, 5-21 × 0.3 mm. 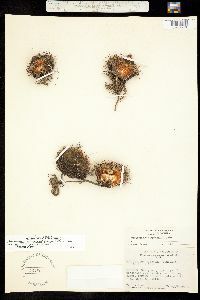 Flowers 1.2-3 × 1-2.5 cm; scales and outer tepals minutely toothed and laciniate or entire and often undulate; outer tepals with greenish brown midstripes, oblong-cuneate, 9-20 × 3-5(-6) mm; inner tepals white, pink, magenta, yellow, or yellow-green, 12-25 × 4.5-6(-9) mm. 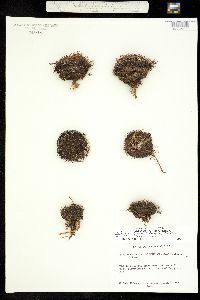 Fruits green tinged with red, drying reddish brown, short cylindric, 6-11 × 5-10 mm. 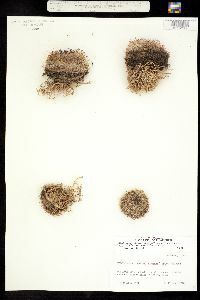 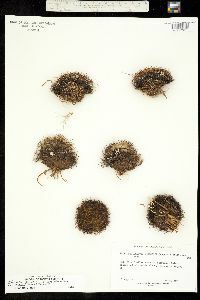 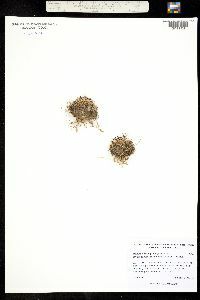 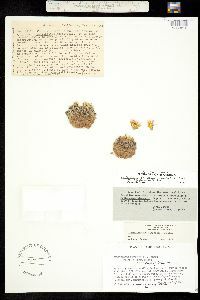 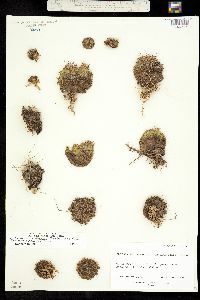 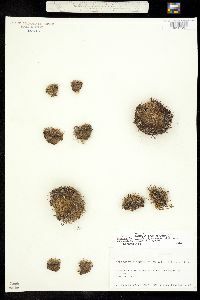 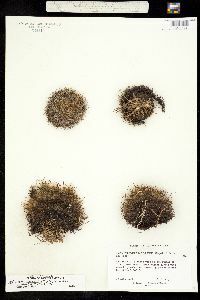 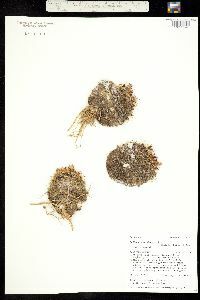 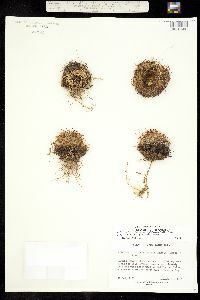 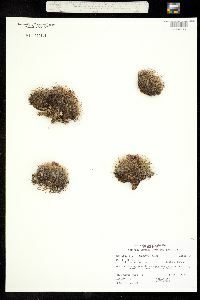 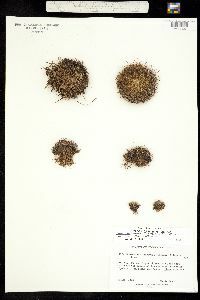 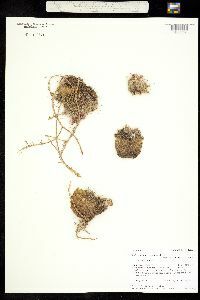 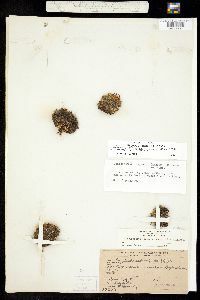 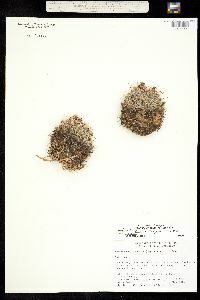 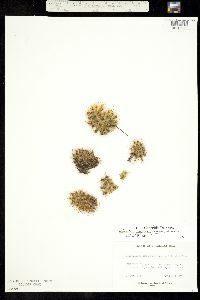 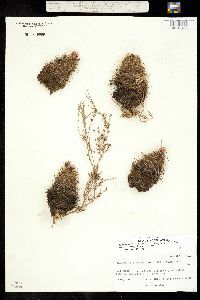 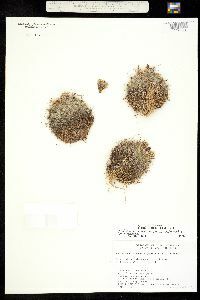 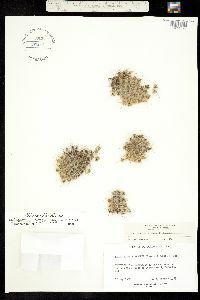 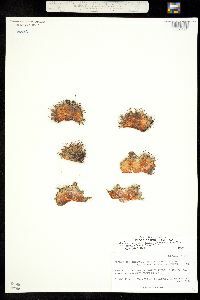 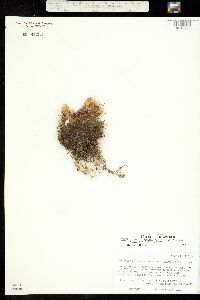 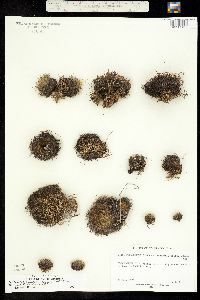 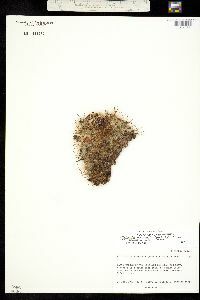 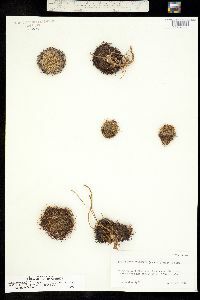 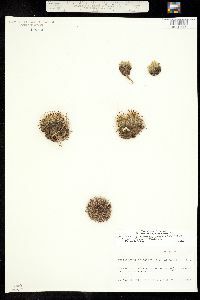 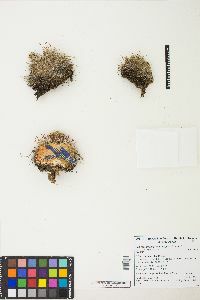 Seeds gray to black, 2-3 × 1.5-2 mm, papillate but not rugose. 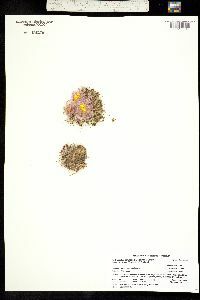 Flowering spring-early summer. 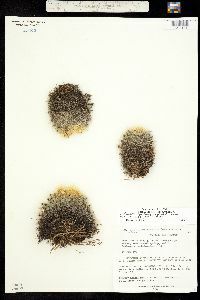 Pinyon-juniper woodlands, sagebrush, montane, and prairie grasslands, coniferous forests; 1400-3500 m; Ariz., Colo., Idaho, Mont., Nev., N.Mex., S.Dak., Utah, Wyo. 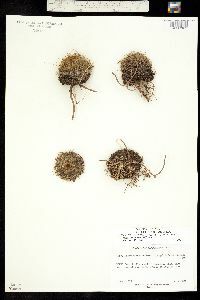 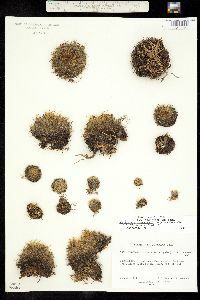 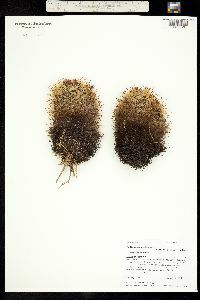 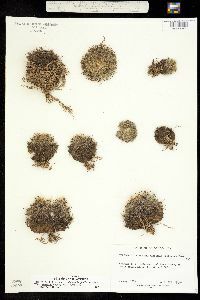 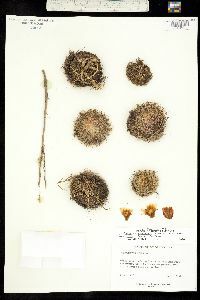 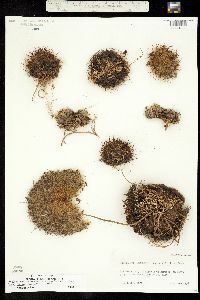 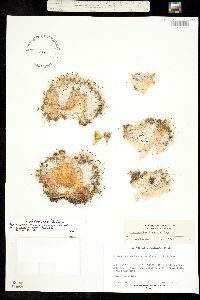 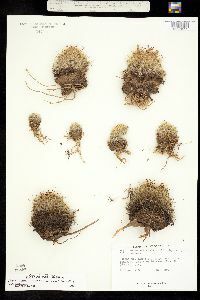 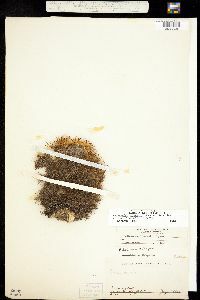 Pediocactus simpsonii is an exceedingly variable species. 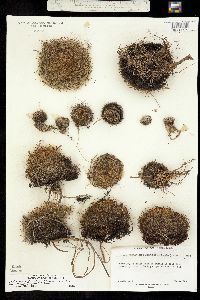 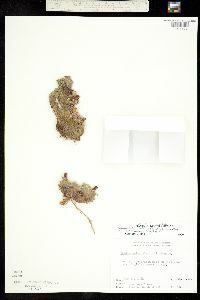 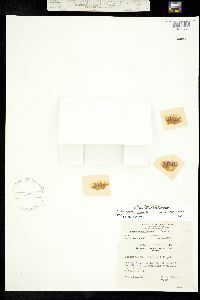 The segregation of the many forms, varieties, and subspecies on the basis of morphology, however, is difficult to support, given the continuous range of variation in stem size and flower color over its geographic range. 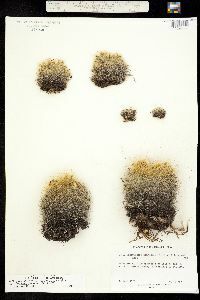 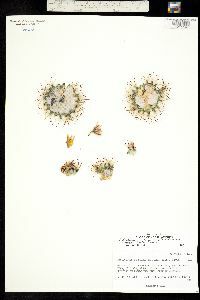 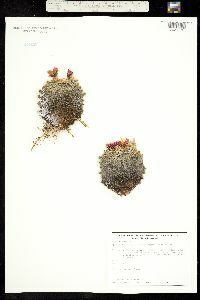 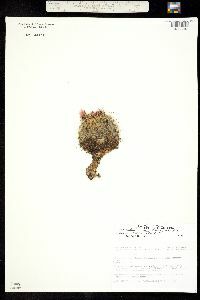 The species has the widest distribution of any Pediocactus, and is found at the highest elevation.